Grace simplifies life by filling us with the knowledge of unconditional acceptance, freeing us from the crushing weight of anger and bitterness, releasing us from the burden of vengeance, and liberating us from the entanglements of narcissism. Forgiveness promotes strong marriages, secure parent-child relationships, and loving sibling connections that last thru good times and bad. Because we live in a sinful world, we need to practice forgiveness to heal hurt emotions, restore broken relationships, and build long-term intimacy. Is there anyone …you need to forgive? Offer them your forgiveness today. Acceptance, although a gift of grace itself, lays the groundwork for more grace within the family. It creates a sense of security that “I am loved” no matter what happens. Such gracious acceptance builds loving bonds and intimate relationships between family members. Today, make it a point to show your acceptance for each family member. This may mean setting aside your own plans to spend time with your family. “Research suggests that some degree of sacrifice is a normal, healthy aspect of a solid relationship. In the absence of an attitude of sacrifice, what do you have? You have a relationship in which at least one of you is in it mostly for what you can get. That’s not a recipe for satisfaction or growth” -Fighting for Your Marriage. With this in mind, give up something on your to-do list to help a family member today. Sometimes our family members make requests that we want to totally refuse on first impulse. Slow down, listen carefully, and make sure you understand the whole request and reason behind the request. Take the time to discover some part of the request that you can agree with or participate in. All families have disagreements and arguments. We can offer a gift of grace by making the first move to restore the relationship. Offer an apology and make the first step in reconciling any differences. Sometimes our family members do things that we don’t like. We may even experience times when we “don’t really like” a family member. Grace loves them anyway. It compels us toward loving affection and loving interactions even when we are angry, upset, or “don’t really like them.” Treat one another with love-more so when you don’t feel like it. Seize any and every opportunity that arises to give up the last cookie, the last piece of cake, your desire to watch “my” show or the desire to “go first” and “be the first” one. Give up the desire to “win” in each of these situations and let your family member have first place. ‎”Some of the biggest challenges in relationships come from the fact that most people enter a relationship in order to get something. They’re trying to find someone who’s going to make them feel good. In reality, the only way a relationship will last is if you see your relationship as a place that you go to give, and not a place that you go to take.” (Anthony Robbins ) What will you give to enhance your family relationships this weekend? Make a commitment to hug each family member and tell each one “I love you” every night before bed, even if you are upset, frustrated, or angry with them. Intentionally lose the argument for “shotgun seat,” the last cookie, or what TV show to watch. Let your family member “win” and get their way. Don’t compare family members to one another or to those outside the family. When we do compare, we tend to compare one person’s weakness to the other person’s strength. Someone always ends up on the losing end. Instead of comparing, simply accept the person for who they are and lovingly encourage them to excel in their God-given talents. Give the gift of grace as a family by picking a charitable organization and volunteer your time, effort, or finances to help. You can help at a nursing home, a homeless shelter, or a children’s home. Whatever you choose, do it as a family as a family gift of grace. Give your family the gift of your time. Spend time playing a game with family or eating with family, shopping with family or reading a book together. Christmas gifts of grace you can offer include the gift of an apology, the gift of forgiveness, and the gift of your time. Offer to do a household chore typically done by another family member…and smile as you make the offer and complete the chore. Rather than criticize and complain about your family member’s behavior, explain, in a loving and calm way, what you desire from them (like time together or help with some chore) and the positive behavior that can bring more intimacy to your relationship. Listen to the other person’s whole thought & make sure you understand before answering rather than finishing their sentence, formulating a response, or assuming you know what they are sayings. Help with a household chore when the person who usually does it is extra busy or feeling overwhelmed. Better yet, just do the chore for the other person even though it is not your usual job. Accept your family members, warts and all. After all, no one is perfect. Even when you’re angry with your spouse, find a way to express your love for them. Even when you have to discipline your children, find a way to let them know that you still love and accept them…and you always will. Give your full attention to a family member as they interact with you. Put down the paper, take a pause in your project, turn off the TV, turn down the music, and give your full attention to the other person. Put aside your own needs and desires this weekend and focus on what you can do for other family members. This will bring out the best in them…and you. Receive what feels and sounds like a demand from family members as though it were a request and respond appropriately. For the next 24 hours, pay attention to how often you want to ask your family to do something for you, help you with something, or provide you with something. Then, instead of asking, become the giver instead. Do and say things your family would enjoy or appreciate. The greatest gift of grace is the giving of yourself. 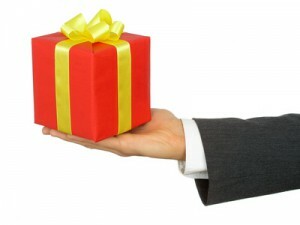 Give of yourself and receive the gift of each other with complete and generous abandon. Empty yourself of the personal desires and expectations you have for family members. Fill the space you just emptied with the desire to give your family members more complete acceptance and love. Love and respect family members even when they leave the toilet seat up, squeeze the toothpaste from the wrong end, disregard a request/house rule, or even say something mean to you in anger. Love and respect them anyway, even if they do not deserve it at the moment. If you tell a friend or extended family member about what’s going on with a person in your immediate family, use a ratio of telling at least three positive things for every one negative thing. The road back to paradise is paved with forgiveness. The “high road” to fulfilling family life (the closest thing we have to paradise this side of heaven) is paved with forgiveness as well. Forgive family members completely and deeply. When you feel angry about something (toilet paper not replaced, clothes not picked up, dishes left around the house, etc. ), stop and reflect…take the log out of your own eye, accept your responsibility, and make any changes you need to make before you do anything else. During a disagreement, give up judgments, thinking about your response, or second-guessing what the other person is going to say. Instead, listen closely with the intent to completely understand their point of view. Selflessly love family members with words and deeds but without any expectation of Atta-Boys or Atta-Girls. Accept your role as a boundary keeper knowing that boundaries (rules and limits) free everyone in the family to grow in self-control and self confidence. Instead of complaining about family members, find a way to compliment each family member three times a day. During a disagreement, avoid telling the other person how they think or feel (“You think that…”). Instead, talk about how “I think” or “I feel.” Focus on taking the log out of your own eye first. Every family has differences & arguments. Pick your battles; let some go. If the issue is minor, does not impact you, or is not hurtful to anyone, don’t enter the battle. Instead, honor the other person by letting them learn from their mistakes while you graciously offer empathy and support. When you have a disagreement with another family member, look for what is right in their argument and then allow them to have the last word. More than anything, family members desire to feel appreciated, respected and accepted. Tell you family-text them, write them a note, compose a song for them, whatever it takes-to make sure your family knows that you appreciate, respect, and accept them. Give up your personal agenda for the evening–your desire to do what you want to get done, watch what you want to watch, or talk about what interests you–and focus on your family and building relationships with them. Admit when you fail, make a mistake, fall short, or even do something that hurts a family member. Take the time to offer a sincere apology. It is a grace to accept differences, forgive hurts, and seek reconciliation in the midst of an argument. Instead of playing judge & jury in your marriage, offer grace. Ask the opinion of other family members in regards to an important matter…and consider their input in the final decision. Pick one day this month for each family member and give them that day. Do what they want to do, eat what they want to eat, and talk about what they want to talk about for their day. If you have a choice between making you or a family member look good, choose your family member. When you think a family member needs to change, look at and change yourself first. We must take the log from our own eye before attempting to remove the splinter from our family member’s eye. When you have a disagreement with any family member, give up proving yourself right and work to truly understand them. Listen actively until they know you understand their point of view.